Servicing your SEO lead clients is easy if you have a big staff and lots of resources. For smaller companies, it is important to prioritize your best SEO practices against a checklist so that you are always offering your best practices. You want to fine tune this checklist so that you are getting the most out of the work you are doing, and helping those new clients see success. Fix Broken Links to ensure the search engines can crawl your client’s site efficiently. Are your links performing? If not you could missing out on keeping users on your site longer. Make sure your blogs posts link to other relevant content on site. 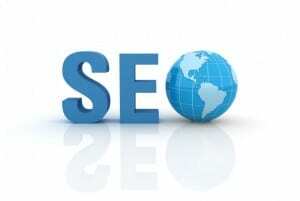 Make sure the website is properly indexed with major search engines. This is a top priority for your client’s sit to be found via searches. Social media and blogging is critical. Make sure your new SEO lead client has profiles on all social media sites and that each blog post has social media buttons embedded into them so that visitors can easily share them with their friends and followers? Make sure the website is mobile friendly. As we now know, if you don’t have a mobile friendly website you are automatically being ranked lower by Google. If you don’t have the staff to do this, you should outsource this for your client. Does your site is look good across every platform and every device? If not consider site redesign and update it so your client has the best possible chances of doing well. Social Media Automation Tools make things easier. They allow you to track the results of campaigns as well as automate updates so that you can have posts on each platform regularly. ⟵What Happens When You Stop SEO Services?